In all our years studying supplements, we’ve seen different kinds of testosterone-boosting supplements that claim to help you build muscle and improve your sexual performance. As much as we would hate to admit, more often than not, the results are less than stellar. Based on our experience, only about 1 out of 10 testosterone boosters are truly effective in boosting testosterone levels. It’s a myth that all testosterone boosters are anabolic steroids. Anabolic steroids are substances that have been banned by some sports governing bodies because it creates an unfair advantage for the user. 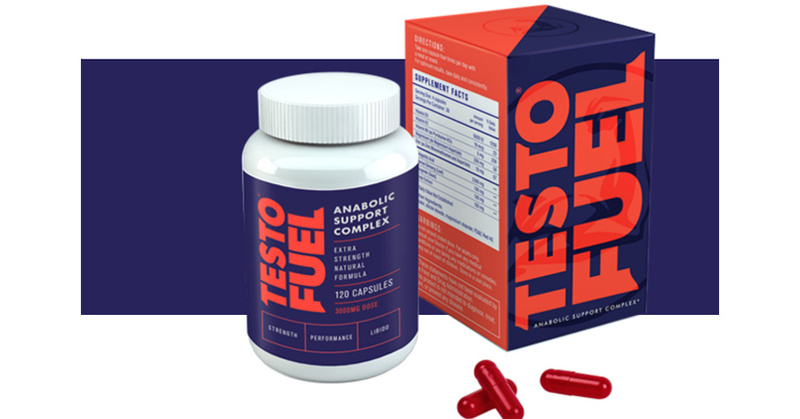 Testofuel is a testosterone-boosting supplement, which claims to enhance testosterone levels by helping your body raise its testosterone levels naturally. In this review, we’ll take a closer look at TestoFuel to see if it can live up to its claims. According to the makers of Testofuel, D-Aspartic acid can naturally enhance testosterone levels which would consequently improve muscle mass development. What they didn’t tell you is that D-Aspartic acid can be found in most meats and poultry. In fact, it’s so abundant in a regular person’s diet that you don’t need to take supplements for it at all. It’s likely that you’d have more D-Aspartic acid in a lean slice of steak than with five capsules of Testofuel. Vitamin D, on the other hand, is closely connected to the production of testosterone. Vitamin D helps the regular production of testosterone. In women, Vitamin D deficiency results in low estrogen levels, and Vitamin D deficiency in men results in low testosterone levels. Oyster Extract is rich in zinc, which is a nutrient closely tied to testosterone production. Zinc is an essential mineral for the production of Testosterone, but the oyster extract in Testofuel may be too low to produce actual results. Based on its supplement profile, it’s clear that Testofuel lacks the proper ingredients to naturally increase testosterone levels. The key here is to increase and not to normalize testosterone levels. All D-Aspartic, Vitamin D, and Oyster Extract do is to bring testosterone levels back to normal if you’re deficient with the nutrients that it provides. Naturally, if you’re Vitamin D and Zinc deficient, your body won’t produce as much testosterone. All it does is to bring your testosterone levels back to normal, unlike products like Xtreme Testosterone which contain ingredients that naturally increase your testosterone levels. If you’re not deficient in Vitamin D and Zinc, then Testofuel will do nothing for you. If you are deficient with these nutrients, then multivitamins will do the job. You don’t need a separate supplement that would give you the same nutrients that your daily multivitamin would give you. If you’re looking for real results, then check out Xtreme Testosterone. Based on our own personal tests, we have found that Xtreme Testosterone is truly one of the best muscle building supplements around. One pill of Xtreme Testosterone every day will ensure that your testosterone levels is at its peak for optimal muscle growth.